How do I edit the privacy settings on my profile? 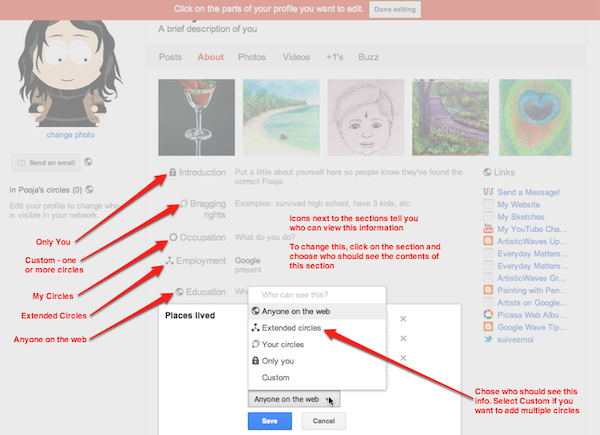 You can choose to display selected parts of your profile to everyone or the circles of your choice. To do so, go to your profile and click the Edit Profile button. Next, click the sections of the profile you want to edit and you'll be able to choose the circles you want to display the information to.